The series closed with the rescheduled Frensham Frenzy and the final movers and shakers where Sammy Isaacs-Johnson (Maidenhead) in his RS Aeros 5 jumping up to 11th as top RS Aero there and Joe Gallivan (Lymington Town) leap frogging into the top 10 in the overall series scores. Overall Tim Hire (Royal Lymington) dominated the series counting a clean sweep of 1sts, winning 4 of the events in total which included the notable achievement of winning Northampton's Steve Nicholson Trophy single hander fleet overall. 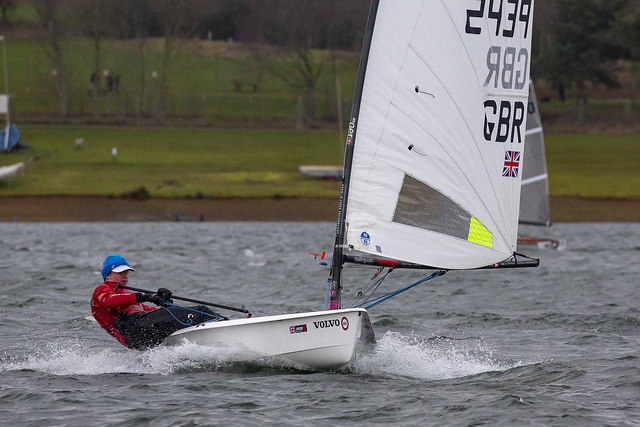 Tim was also top Youth, a testament to how with dedication, enthusiasm and our good Youth Training and Class racing programmes a keen young sailor can excel all the way to the front of the fleet. Peter Barton (Lymington Town) took 2nd with a win at Oxford's RS Aero Winter Champs and a string of 2nds. Another top Youth, Chris Hatton (Bowmoor), finished 3rd including an impressive win at the Bowmoor Bubble last December. UK Class Chairman, Nigel Rolfe (Burghfield) excelled to 4th from Charlie Sansom (Bowmoor) in 5th. 1st Youth Lady was Lily Barrett (Island Barn) in 13th with the non youth 1st Lady Emily Davis (Great Moor), rounding out the top 20 overall. Top Master was Nick Neve (Rutland) in 8th, a little ahead of Peter Chaplin and Chris Jones. Best RS Aero 9 stalwart was Chris Larr (Northampton) in 6th overall and the RS Aero 5s shone at the final event, the Frensham Frenzy,with Sammy Isaacs-Johnson leading the RS Aeros there and ended just 1 point off taking that event overall to finish 11th in the Winter Series! All in all it proved a very successful Winter for the RS Aeros with some huge off season turnouts at both main event classics and the backwater gems, culminating in the RS Aero 7s (alone!) also being the largest Class represented in the national Selden SailJuice Winter Series and taking 3rd place in the hard fought SailJuice Class contest. *As ever, please let me know if you think there are any mistakes in the results. 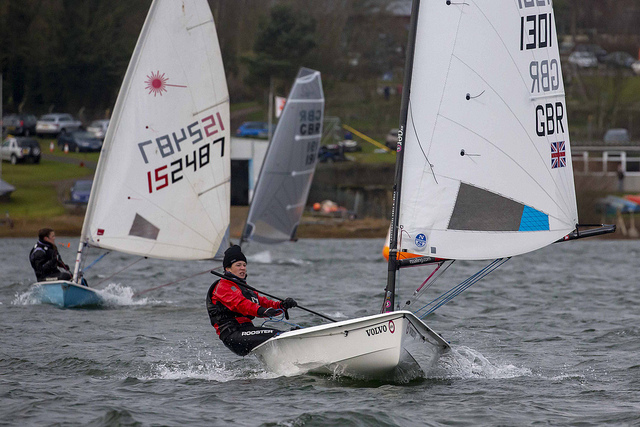 Photos; by Tim Olin - Emily Davis and Tim Hire at Northampton SC's Steve Nicholson Trophy in January.